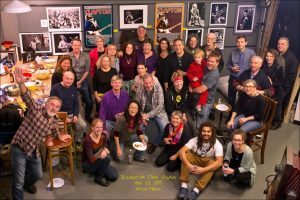 Membership in the Brickbottom Artists Association (BAA) is open to anyone with an active interest in art and the arts community in Somerville and the greater Boston area – artists and arts-supporters alike. An annual membership is just $50. The BAA promotes its members and their work while fostering a community of art-minded peers, and providing members with opportunities to contribute to the cultural fabric of our broader community. 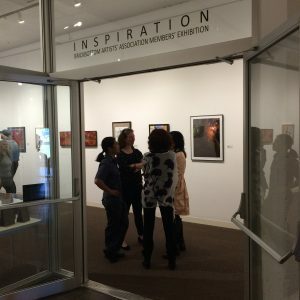 Exhibition Opportunities: Resident and Affiliate Artists may participate in up to 3 annual membership exhibitions, as well as BAA sponsored events throughout the city. Marketing Help: The BAA helps publicize members' shows and other public events through our Facebook, Twitter, and Instagram feeds. 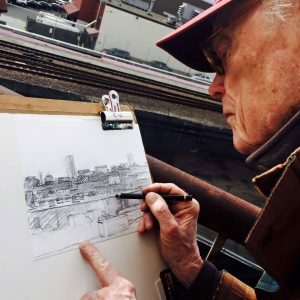 Open Studios: We encourage non-resident artists to participate in the Brickbottom Open Studios as Affiliate Artists, displaying their work in "host" lofts or in our well-trafficked common areas. Resources: Members gain access to calls-for-entry and other opportunities shared with the BAA by other galleries and organizations. Member pages: Artist members can maintain an member page on brickbottom.org for added online visibility. Discounts: Members receive a 10% discount on art purchased in the Brickbottom gallery, as well as discounts on purchases at Artist & Craftsman Supply in Cambridge, and Cambridge Reprographics. Social & Cultural events: Our Brickbottom Speaks series, and occasional evening Salon events, video screenings, music and dance performances, lectures, slide presentations, etc, are open to BAA members, and most are free. Networking and more: Membership in the BAA is a great way to meet fellow artists, learn about local opportunities, and to support the local arts community! Mail this membership form in with your payment.